Learning by doing is the principle at the root of the three-year courses at Raffles Milano, a training experience that structures the mind, provides a solid technical foundation and unleashes a desire to broaden your life horizons. Born in Aragon, Spain, Cristina Ortiz spent the first sixteen years of her life in Tenerife, in the Canary Islands, on a set made up of sun, sea and volcanoes: a perfect place for cultivating her creativity. After taking her diploma at the prestigious École de la chambre syndicale de la couture in Paris in 1986, she launched into a career that brought her to the top of the great international fashion houses. 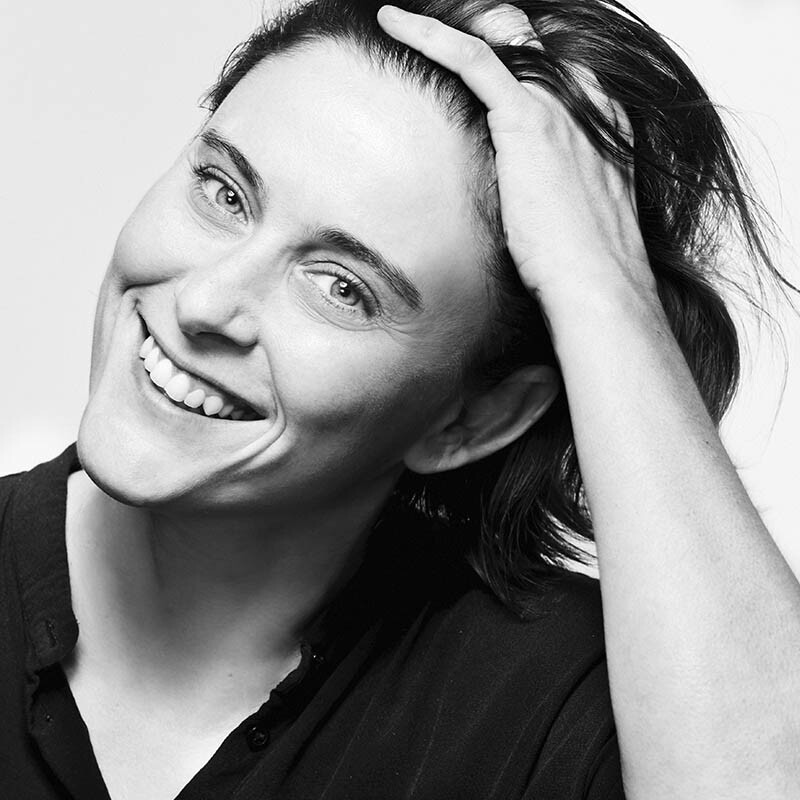 She served as creative director of Prada Woman until 1997, when she became the creative director for women’s ready-to-wear and accessories at Lanvin. She then followed up this experience by moving to Brioni as creative director of the women’s wear line, a position she held until 2008, when she moved to Ferragamo. Here she succeeded in the far from easy task of reviving the glamour and allure of Salvatore Ferragamo, restoring the brand’s long-established splendor while transforming it into a contemporary brand with a strong identity. Spontaneous, energetic and multicultural, she provides a voice for fashion that is elegant yet wearable, with no excess. She now continues to work with several brands, while at the same time conducting personal research focusing on launching her own line of jewellery. The fashion system is a huge, articulated and sometimes unpredictable territory, where a sense for the classics manages to find common ground with the extremes of experimentation. There is no fool-proof recipe for success: it takes a readiness to work hard, together with the curiosity to learn and to measure up to the outside world and its thousands of cultures: haute couture, pop, ethno… It takes a really sharp eye – that has to be trained – capable of noticing the tiniest detail. An eye that is familiar with traditional methods of tailoring, but is not too sconed to suggest an impudent elegance. The style scene and the professions involved in it are evolving radically, as traditional categories become porous. In addition to careers with fashion brands, alongside the great fashion designers (as assistant designer, pattern maker, production assistant, fashion stylist or fashion illustrator) or as a freelance, a series of crossover functions and opportunities are opening up at international level, linked to creativity, production, distribution and promotions. Knowing that you can count on a high-profile training is nearly always a trump card in these contexts. This course is designed for candidates with a high school diploma and for students from Italian or foreign universities. Ideally, candidates are driven by a sincere passion for design, style and clothing and an urge to employ their own potential for designing, interpreting and communicating, as well as their innate abilities and talents, to build a career on the fashion scene. During the three years, students learn to interpret the world around them in ways that are not immediately self-evident, a skill they will be able to apply to great effect in future professional and creative contexts. First year: elements that introduce students to the study of fashion design, general preparation. Second year: intermediate development of the topics and specific focuses. Third year: completion of the topics, final project and compilation of a portfolio. In particular, students analyse forms, silhouettes, materials, production processes, social factors and customs that underlie a conscious, articulated, original design process. The atmosphere in the classroom encourages students to express their individuality and explore new territories and contexts, including venturing beyond the pale. – Art and costume history. – Fabrics and raw materials. They are well-founded professionals, authors of projects that have made their mark, and with many years of teaching experience. They have a wide and truly international vision. They are part of a cohesive and productive group, and they love discussing the progress of courses, the opportunities that present themselves on the run and the performance of individual students. After his humanistic studies, Vergani trained himself as a scholar while he worked in a record shop. A brief experience in the world of design led him to become Luigi Settembrini and Francesca Sorace’s assistant in the year 2000 during their collaboration with the Cosmit for the exhibition “1951-2001, Made in Italy?”. In 2001, he founded Nowhere, the first example of a nomad exhibition space, and organised exhibitions in Milan, Paris, and Florence with this format. In 2003, he opened a permanent office in Milan, thus giving substance to his research activity in the field of contemporary art. During the same year, and until 2006, he worked as an editorial consultant for Skira. From 2007 to 2013 he was the Vice President of Startmilano, a sectorial association for the diffusion of contemporary art and culture. He has been writing about art for the newspaper Il Giorno/QN since 2009. 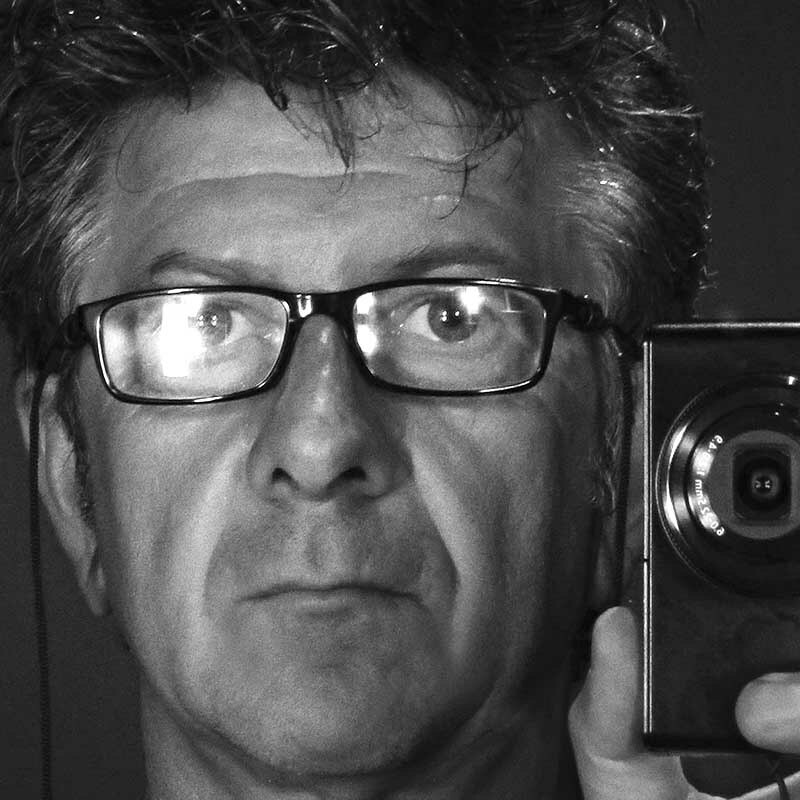 A journalist and photography critic who writes for the ViviMilano supplement to the leading national daily newspaper Corriere della Sera, Giovanni Pelloso has worked on publishing projects with Mondadori Portfolio (he was the author of the piece dedicated to Mario De Biasi, Giorgio Lotti and Angelo Cozzi), with Hachette and with Canon Italia. A co-author of the Dizionario mondiale della fotografia (Rizzoli/Contrasto, 2002), he is a contributor to the monthly magazines NPhotography and Photo Professional and is editor in chief of the long-established magazine Il Fotografo. He has held workshops and seminars about photography at the Suor Orsola Benincasa University in Naples, the Istituto Italiano di Fotografia and the Contrasto agency. 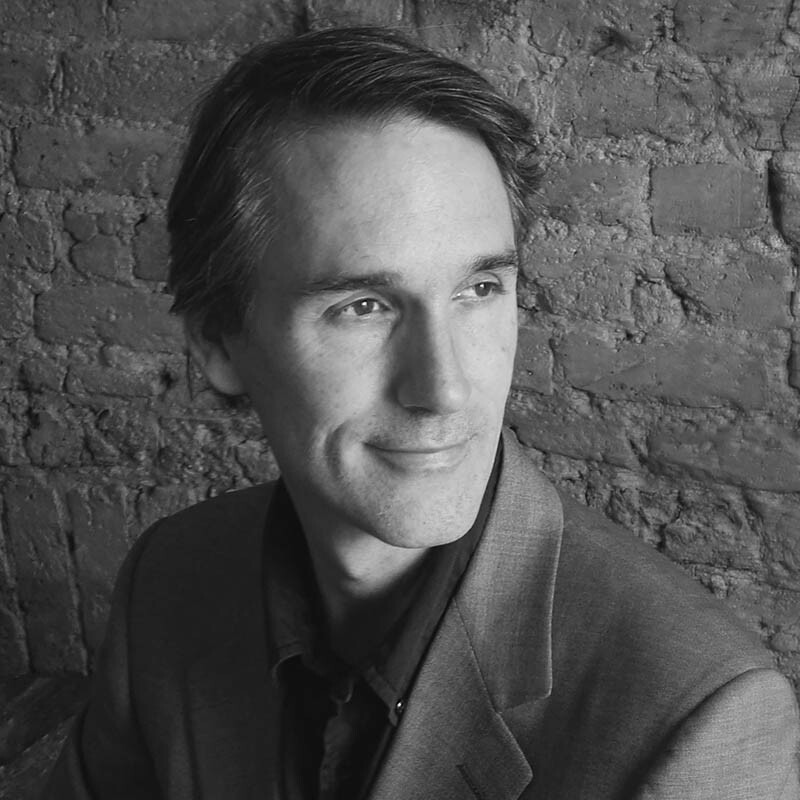 His research interests focus on the theory and practice of the sociology of consumption and of advertising. Working as a contract lecturer, he has been teaching and conducting research since 2005 at the Faculty of Communication Sciences and of Entertainment at the IULM University in Milan. He has been lecturing in photography at the LAO since 2013 and is an associate researcher at the Milan Civic Aquarium. Documentary-maker and visual sociologist, Rossano deals with visual sociology and anthropology at the University of Barcelona, where he concluded a Ph.D. in Sociology in 2016. In 2002, he graduated in Law at the Università degli Studi di Napoli Federico II and three years later he obtained his Diploma of specialiation in cinema direction at the Centre d’Estudis Cinematografics de Catalunya. In 2006, he attended and concluded the Master’s Course in Management for Showbusiness at the SDA Bocconi in Milan. 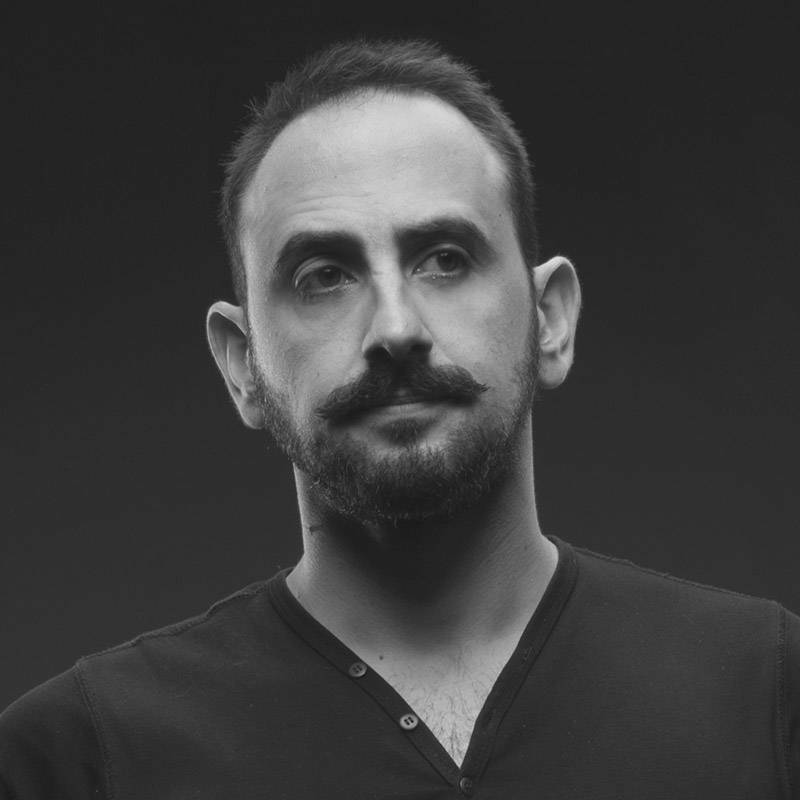 An expert in video-making and in the organisation of cultural and theatre events, he has worked at the Piccolo Teatro di Milano (2006) and at the Napoli Teatro Festival Italia (2009-2010). 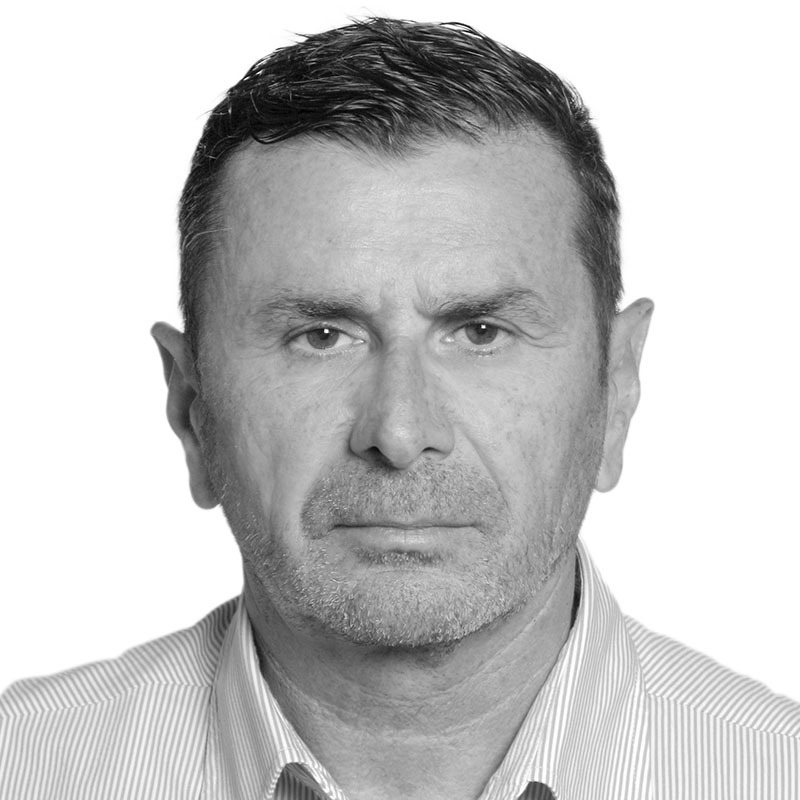 Rossano is the author of documentaries that have participated in various international festivals and is an arduous writer of academic articles and short stories. 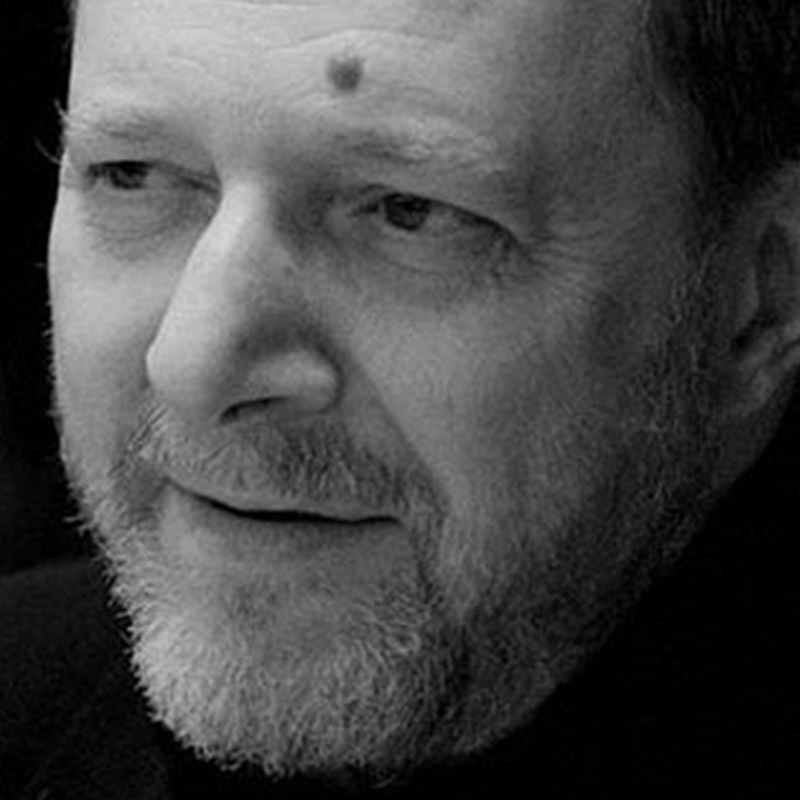 His research activity falls within the disciplinary field of Sociology and Anthropology, in connection with audiovisual methodologies and techniques. 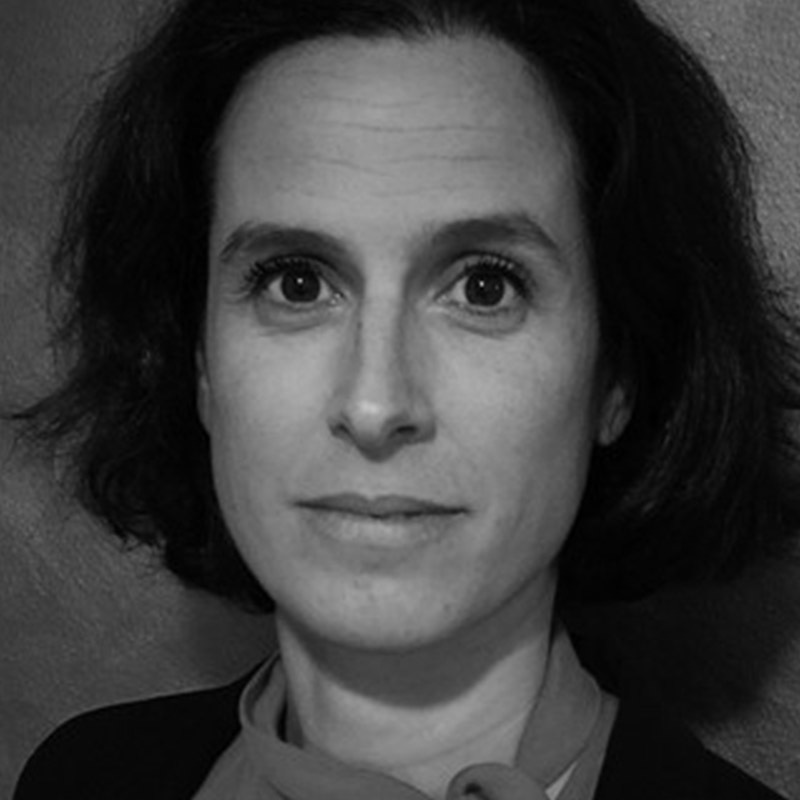 Translator, conference interpreter and professor of English language, she graduated in English Language and Literature at the University of Aarhus and accomplished a research PhD in Theory of Translation at the University of Milan. She has been teaching both in Italian and international universities and in corporate contexts for 15 years. This experience gave her the chance to be able to deal with students from different cultures and educational backgrounds, with the aim to make them reach a good language level for several social and professional operating contexts. Besides, she works as Project Manager for important translation assignments and interpreting projects. She released monographies on language didactics and contributed to numerous academic papers in this field. Born in Syracuse, in Sicily in 1978, Davide Calluori graduated in Art from the DAMS school in Bologna, then moved to Milan, where he took a diploma in Graphic Design from the Accademia di Comunicazione. 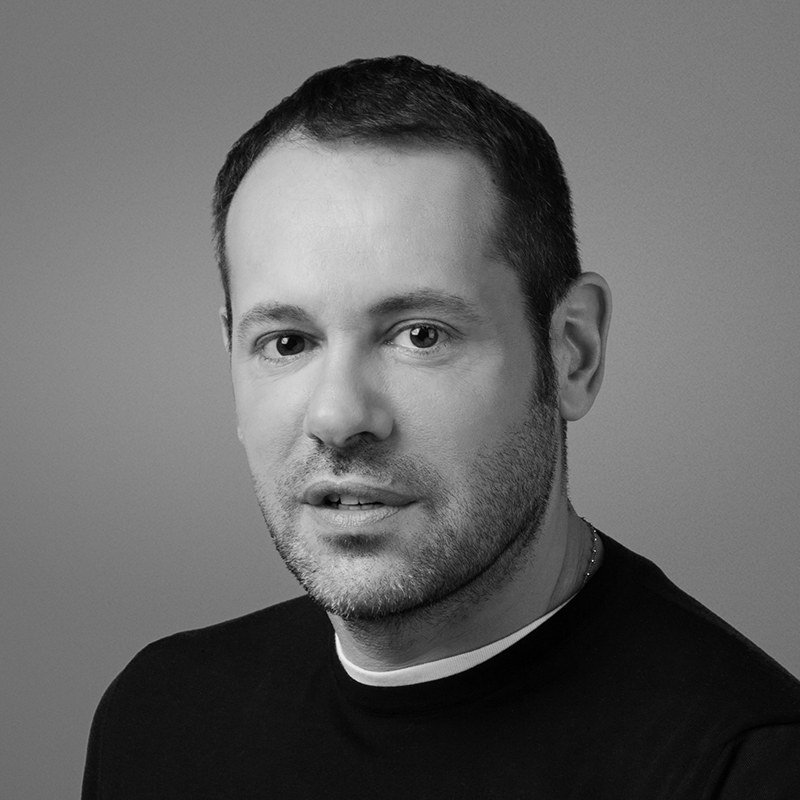 He started his professional career at DLV BBDO as an art director. He then developed an interest in creating and producing images for printing. He became the manager for the post-production, 3D and illustration department. At the beginning of 2016, he teamed up with Daniele Tribi and Francesco Van Straten to establish B612Studio, a structure that works with illustration, 3D, post-production and photography. The clients he has completed projects for include Yamaha, Freddy, Cam, Rolling Stone, Wall Street Institute, Che Banca!, Bayer, Telecom, Sky and Audi. His work appeared in the 2012, 2014 and 2016 editions of the 200 Best Digital Artists Worldwide Annual Award and of the 200 Best Illustrators Worldwide Annual Award published by Lürzer’s Archive. After his studies at the Accademia di Belle Arti di Brera in Milan, he started producing images that combined classical techniques with modern digital tools. The study of the “sign” allowed him to operate in various fields in communication: he has illustrated monographic books for publishing houses, self-help manuals for De Agostini, and illustrated catalogues for Sharai. 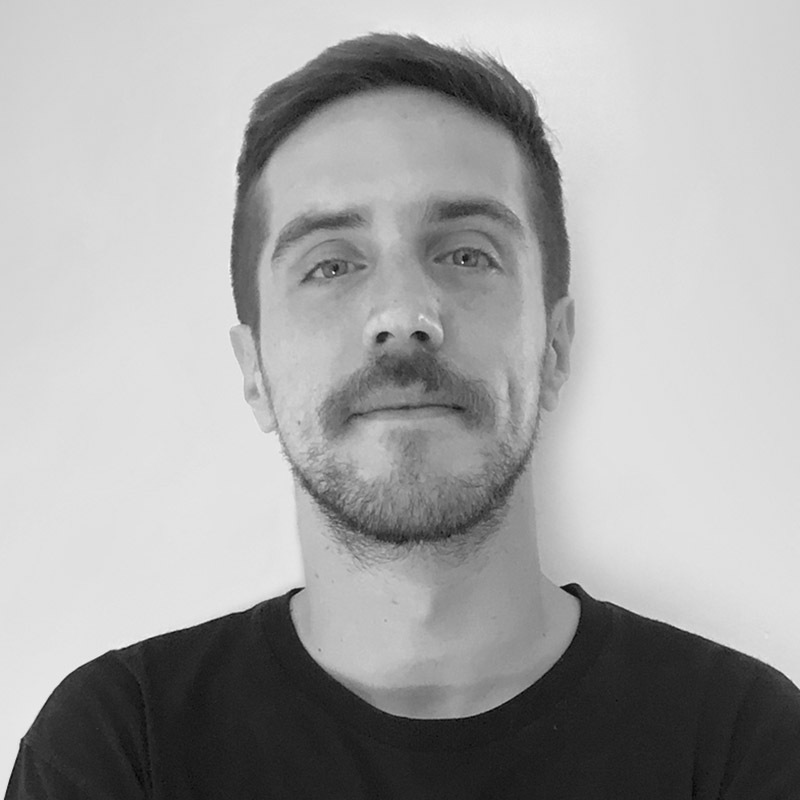 Since 2016, he has been collaborating with Mediaset as a visualizer in the creation of storyboards. At the same time, he collaborates with several advertising agencies and publishes his own underground comic books. In 2017, he met Francesco Vezzoli – a meeting which catapulted him into the world of contemporary art as he lent his hand to the artist in the performance “Take my tears” within the itinerating collective performance “Take me I’m yours” staged in the Pirelli Hangar Bicocca in Milan and repeated in 2018 in Villa Medici in Rome. Ph.D. in History of European Society, she teaches “Fashion history and documentation” and “Fashion publishing and communication” at the Università degli Studi di Milano. 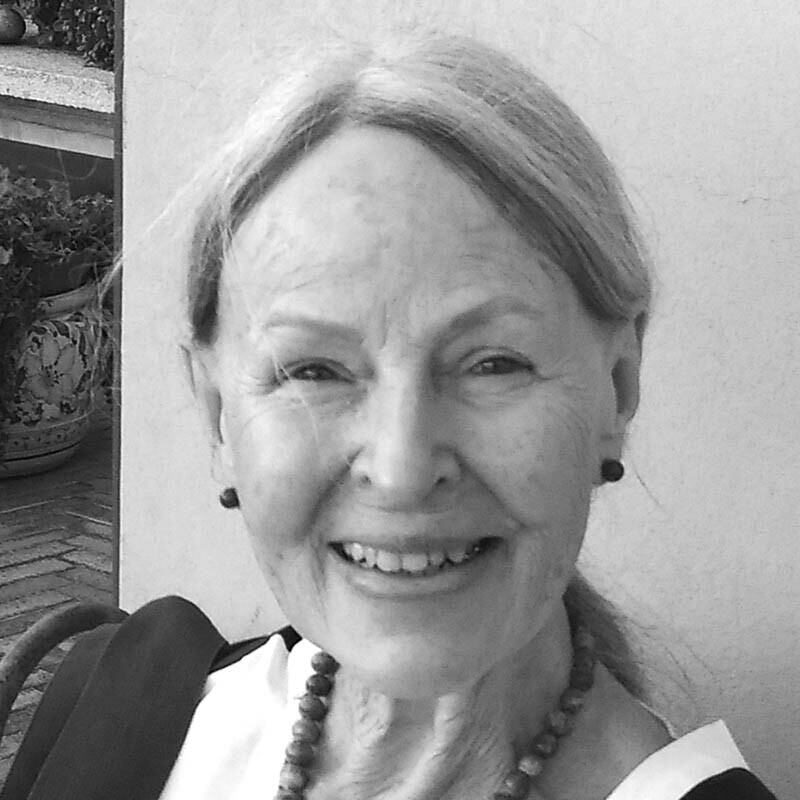 Apart from her expertise in the history of fashion and dress, Canella is also an expert on the history of the city and the territory. 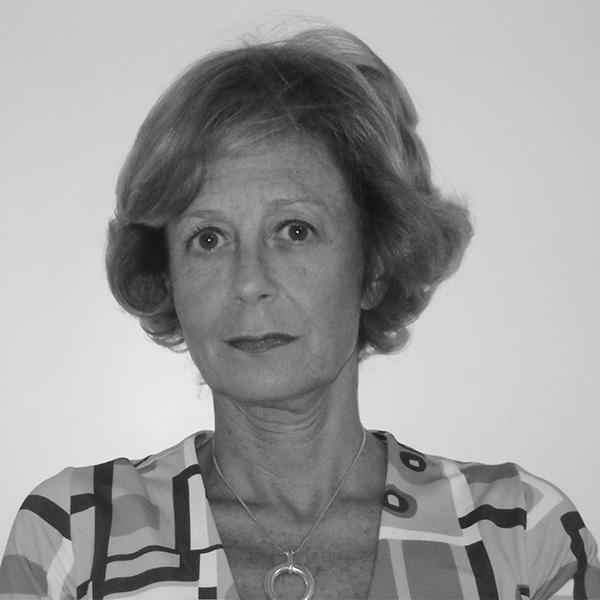 Editor of various collections of books and conferences, she also collaborated with many brands in managing their historical archives and enhancing their heritage: Biki, Jole Veneziani, Germana Marucelli, sartoria Franco, Curiel, Giorgio Correggiari, Fiorucci, Missoni, Italo Sport, Sergio Tacchini, conceria Stefania, Andrea Pfister, Calzoleria Rivolta, Sutor Mantellassi, Ferragamo, Barbara Vitti, Pia Soli, Associazione Italiana Pellicceria, Walter Albini, Alberto Lattuada. Among her more recent publications are: Sport e stile. 150 anni d’immagine al femminile (Sport and style. 150 years of the female image), Skira; Dalla sartoria al prêt-à-porter (From tailoring to prêt-à-porter), in Consumi della vita quotidiana, il Mulino; Sant Ambroeus. Il dolce salotto di Milano (Sant Ambroeus. Milan’s sweet “salotto”), Skira; Franco il sarto dalle linee semplici (Franco the tailor of simple lines), Nexo; lR 100 Rinascente Stories of Innovation, Skira; La rivoluzione nei negozi Fiorucci (Revolution in Fiorucci Stores), in Epoca Fiorucci, Musei dei Venezia. Chiara Orlandini has lived in between Italy and the United States and travelled all over the world. Her studies in Industrial Design were soon combined with her strong interest in Fashion and she started to work for some of the most interesting fashion manufacturers in the Italian market to then move on to professional experiences in several renowned fashion houses. 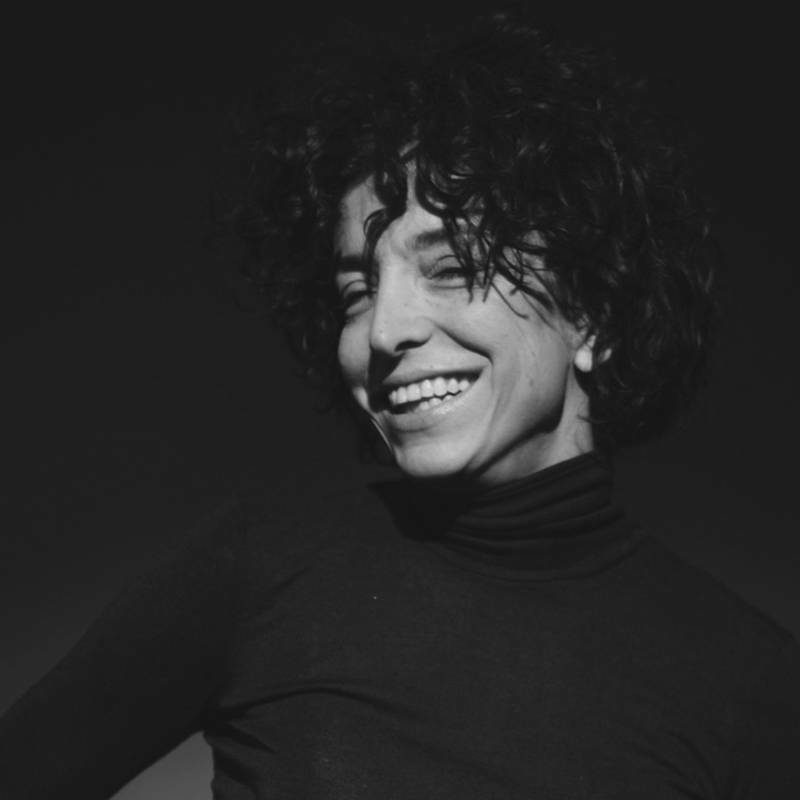 Her knowledge of Made In Italy products, where she matured a particularly significant experience at Giorgio Armani, is combined with her experience on the American scene, where she held the position of Vice President of Design at Calvin Klein. Although her professional experience began in footwear, her career later extended to the complete world of male and female accessories. Her strong interest for the creative phase in fashion design always goes hand in hand with her high attention towards production processes and material research, as her significant experiences at international industrial companies as well as “hand-made” manufacturing enterprises in Europe, Asia and South America clearly show. In recent years, she has shifted her attention towards new technologies and environmental sustainability. In 2016, she founded Chio Resolutions whose mission it is to offer professional expertise to support innovative and high-quality projects. Visual and interaction designer, Micchichè graduated in Communication Design at the IUAV in Venice. 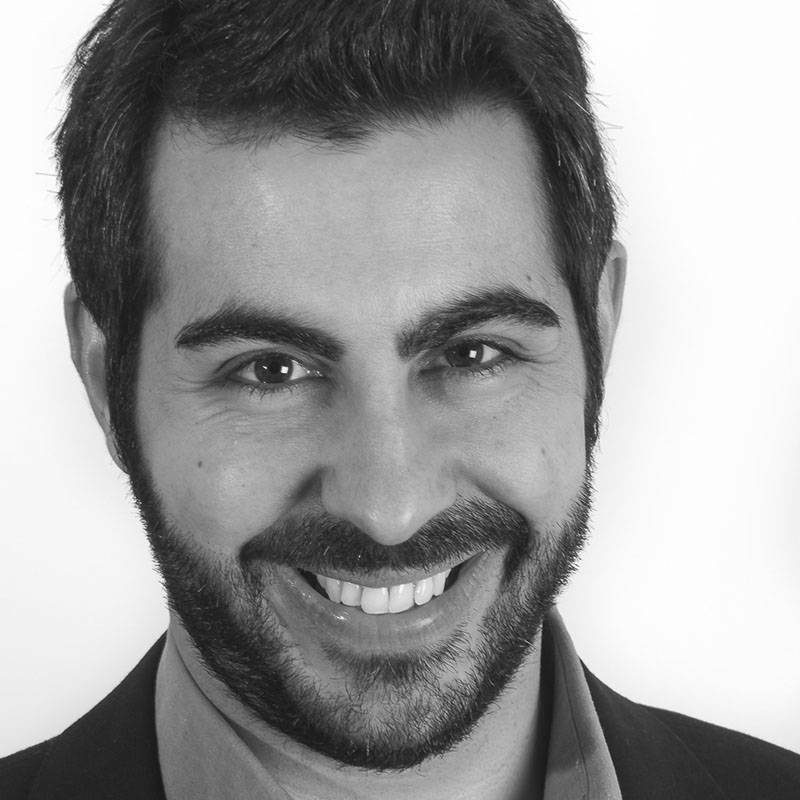 In 2014, he became part of the digital team of Il Sole 24 Ore, where he worked on developing the company’s digital products. 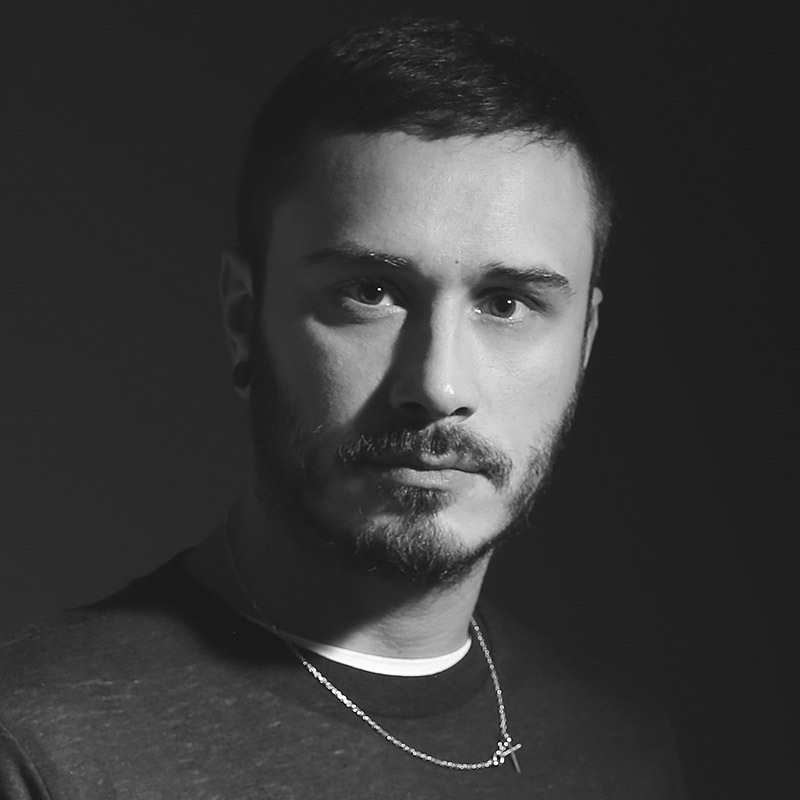 In 2016, he started his collaboration with Circular, a well-known communication agency in Milan, where he developed digital projects for brands like Nike, Acer, Timberland and Benetton. His work combines design and technology placing the user and his interactions at the heart of each project. He currently works as a consultant and freelance designer for various brands and agencies. After graduating from the Academy of Art in Enschede (Netherlands), he left Holland to go to Italy with the dream of working in a fashion design studio. He started with Walter Albini and was later hired as Luciano Soprani’s assistant where he learned to build a fashion collection and had a chance to broaden his knowledge of high-quality made-in-Italy fabrics working back-to-back with the best textile manufacturers. His encounter with Elisabetta Grossi made him decide to share his professional trajectory and to start an entrepreneurial activity opening his own studio with Elisabetta in Milan. He collaborated for several seasons with the associates of the “Ente Comitato Moda” where he was in charge of developing fabric trends. At the same time, he provided the same type of consultancy, with the addition of accessories (buttons, embroideries, trimmings), for Milano Unica – leading international fair in Italian textile manufacturing – and integrated this activity with collaborations as a fashion designer for several Italian and international companies in the fashion industry (Deni Cler, Gruppo Coin, Antonio Fusco, Isaia). Christian Boaro studied Fashion design in Milan, where he graduated in Fashion Design at the Istituto Marangoni. In 2004 he stood out as the only Italian finalist in the international contest for young talents, ITS Talent. He debuted in his professional career working for fashion brands like Versace and Dolce & Gabbana and then continued his professional growth working alongside Gianfranco Ferré, where he designed the line Gf Ferré. Later, he moved on to MSGM, where he coordinated the menswear and womenswear lines. 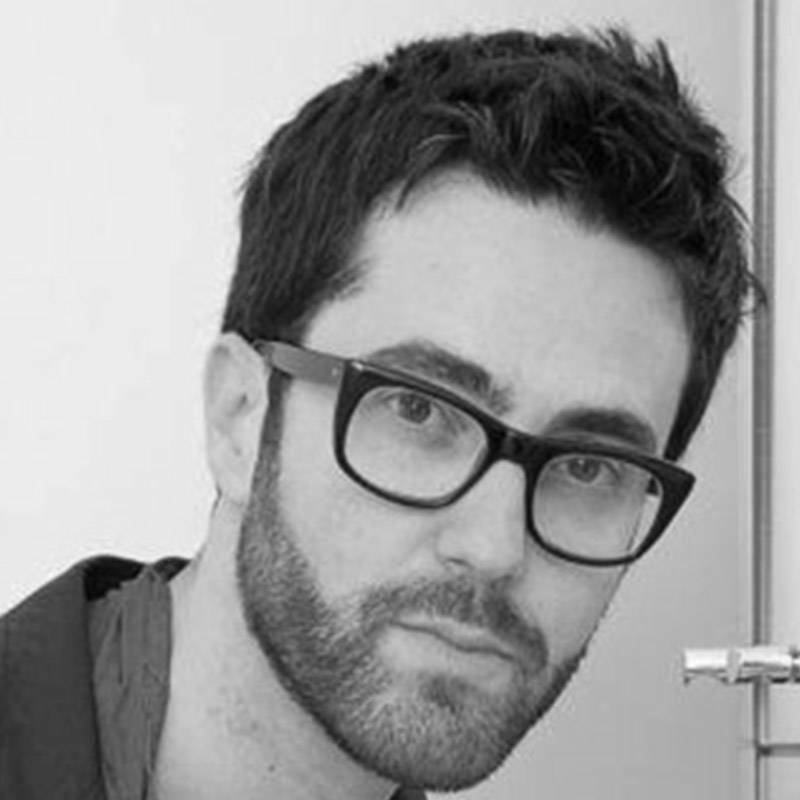 In 2012, he was appointed head designer at Ports 1961, where he worked on all the womenswear collections. 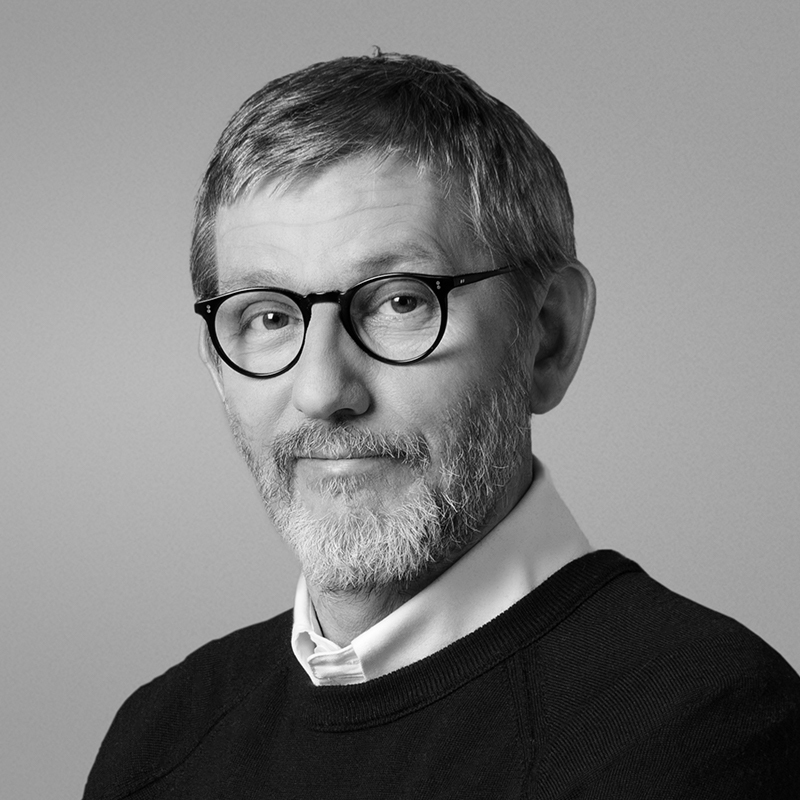 In 2015, the Cadidl group hired him as Art Director to relaunch the historical French brand Philippe & Gaston. In 2018, the PlasMA in Milan hosted his first photography exhibition of polaroid shots. Boaro currently collaborates as a freelance designer with several fashion companies. His professional career has given him the chance to gain experience in different fields: from communication to financing service. He has successfully developed a new business and at the same time renewed new commercial networks and company organizations. He has a peculiar attitude towards strategic thinking, from team work to talent honing and management. As a Coach Manager, he is truly a remarkable specialist of relationships for the development and acquisition of fundamental self-awareness. 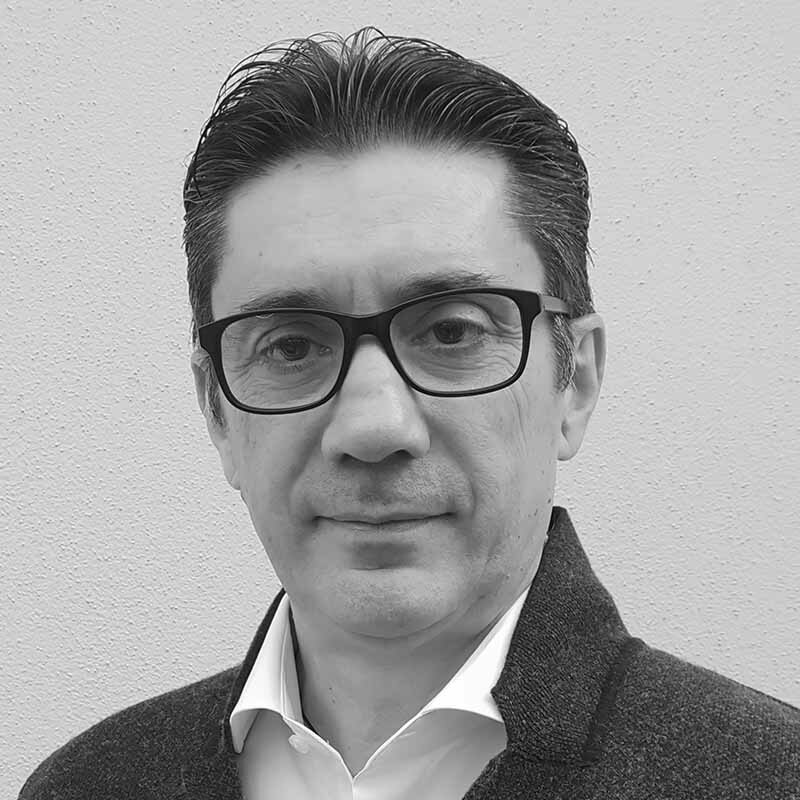 He has had numerous managerial roles in important Italian and international companies ranging from Commercial Manager in Mondadori Advertising to General Manager in Cemit Interactive Media, and he has been the General Manager in Condé Nast. After a few years in consulting, he came back to the company field as a Managing Director and as CEO of Cerved's Finservice Group. 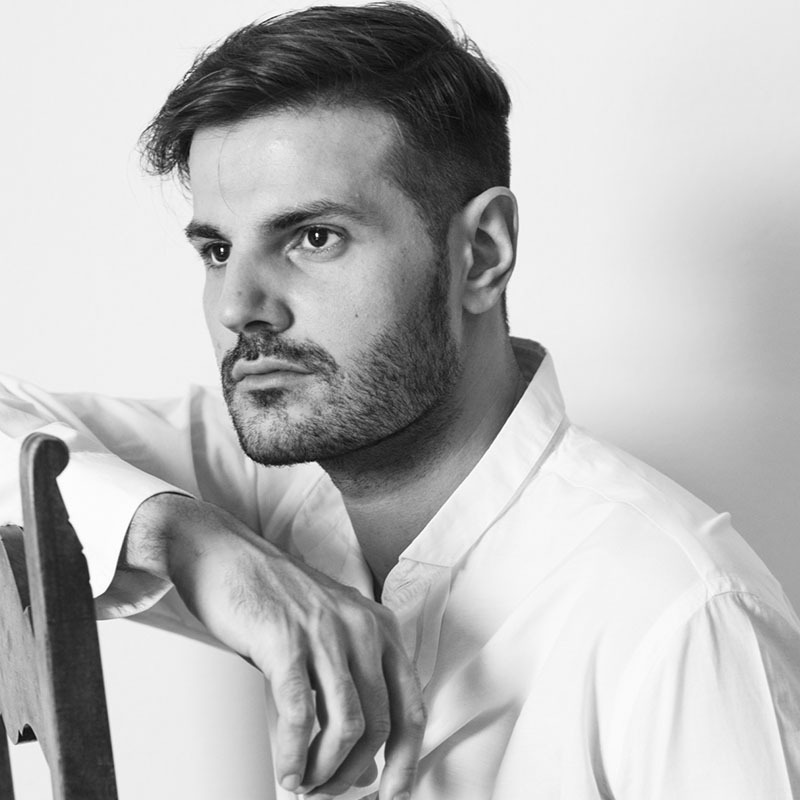 After graduating from Istituto Marangoni in Fashion Design, he started his professional career by collaborating on projects for male and female accessories collections with Italian and international Maisons, such as Costume National, Giorgio Armani, Loewe, Tommy Hilfiger. He is currently collaborating with several companies in the industry and working on the launch of his own line of footwear. In 1988, Fiorenza Spezzapria opened a studio in Milan for collaborations with Italian and international companies. After graduating from IED in Milan with a specialisation in textile design, she started to collaborate with several companies in the industry, such as Callaghan, Basile, Hettabretz, Comitato Moda Italiano, Luciana Zuffi, Brioni, Five Fox Japan, Yinger Group, Nali International, Milano Unica-Boglioli, etc. 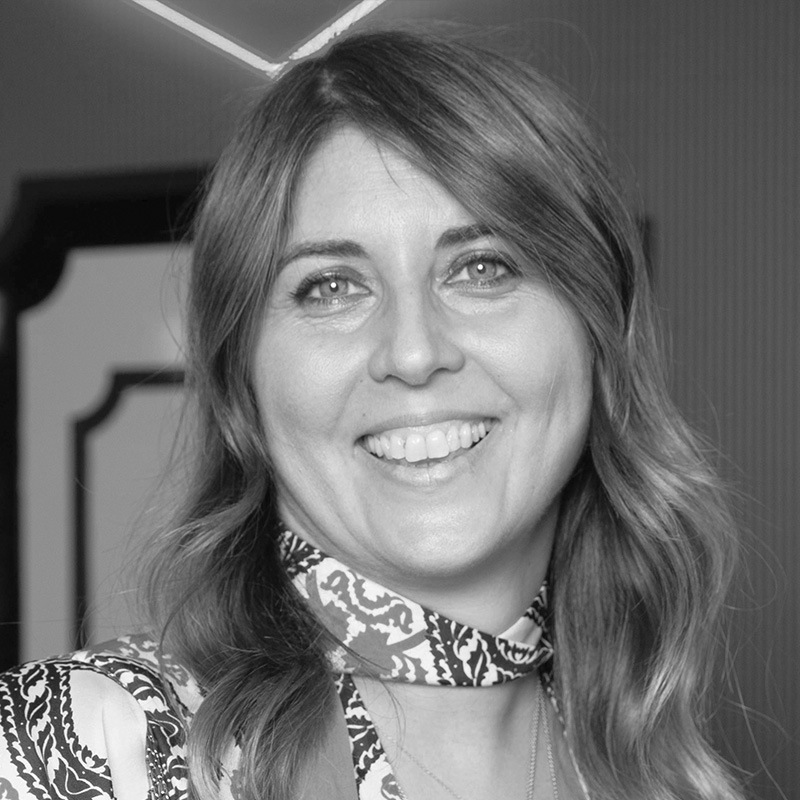 Her mission is creating “made-to-measure” projects for her clients, from seasonal trends to collection development, all the way to the final presentation, offering the right balance of creativity, market-knowledge, and new technologies. A photographer in fashion and advertising, specialised in portraits, he has been collaborating since the beginning of his career with international agencies such as Armando Testa, Leo Burnett, Bcube, JWT, and has worked on projects for important brands in fashion and advertising (Versace, Gianfranco Ferré, Fiat, Nara Camicie, Barcklays, Mattel, Sony Italia, Ferrero, Lego, Volkswagen, San Pellegrino, Pepsi Cola, Red Bull, Alfa Romeo) as well as renowned publishers like L’Officiel India , Condé Nast, Mondadori, Rizzoli, Arbiter. He has published four photography books: Nata per Viaggiar (Born to Travel) (2009) is dedicated to Nara Camicie; About Us (2011), a collection of portraits of 70 international protagonists in the world of custom-made Harley Davidsons. Occhio alla moto (Look out for the bike) (2011) portrays famous Italian people as they had never been seen before; and in Beyond the Chef (2013, edizioni Skira), 35 international starred chefs are portrayed in an ironic and surreal manner. For his work in Beyond the Chef, Rizzotti received the Positive Photography Experience Award at the Positive Business Awards organized in the “Scuola di Palo Alto” in Milan in June 2014. In 2015, he presented the exhibition Shapes in action, where he explored naked female art in large-format works. 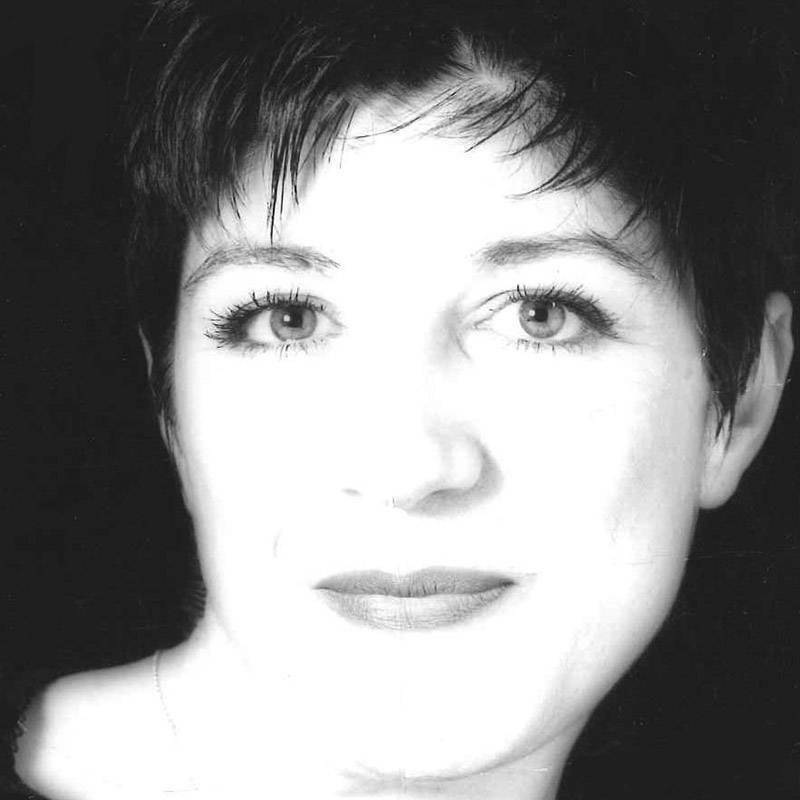 Fashion designer, after graduating from a scientific High School, she obtained her diploma as fashion designer and pattern maker at Istituto Marangoni in Milan and immediately started to collaborate with various style and design studios in Italy, until she moved to London in 1995. She continued to work on projects as a freelancer and experimented with her own street and clubbing clothing brand. In the late 1990s, she returned to Italy and collaborated for ten years with the style departments of several renowned Italian and international luxury maisons, among which were Anna Molinari-Bluemarine, Prada and Emilio Pucci. In 2012, she took on the creative direction of Dirk Bikkembergs’ womenswear collection. After this experience, she collaborated with Bally and later moved to Thailand to design the new Rtw womenswear collection for Jim Thompson, a local luxury brand. In 2018, she came back to Italy, where she is currently working on a new project for a Rtw womenswear collection. A Cambridge graduate, Emilio Foxell obtained a Master’s degree in Oxford and at the Imperial College and completed his Ph.D. at the London Business School. After a professional experience as a consultant, he became a Lecturer in marketing and communication at Oxford University and was later appointed Senior Lecturer at the London University of the Arts. In Italy, he was a Socrates Exchange Professor at IULM University (teaching advertising), as well as an Associate Professor at Università LUISS Guido Carli (teaching fashion marketing and management). He founded his own consultancy firm and carried out several research projects in the fields of product innovation, brand development and semiotics applied to marketing. 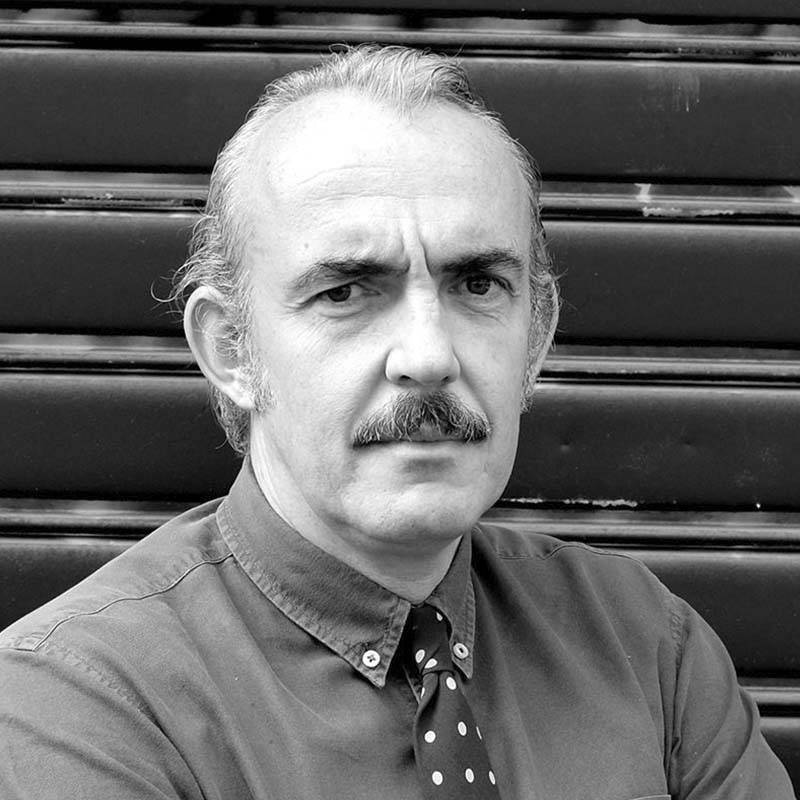 Foxell has received several awards and acknowledgements for his projects, among which are Oxford University’s Heath Harrison Prize, the Centre for Excellence Award granted by the University of the Arts in London, and the Prize for Best Paper in Retail Marketing awarded by the British Academy of Management. Throughout his academic career, he has directed numerous dissertations on marketing and communication. Pattern maker manager, Barbieri graduated in 1982 as an industrial pattern maker at CFP in Carpi, Italy. For nine years, he collaborated as a manual and CAD industrial pattern maker at Maska, where he was in charge of the plus-size womenswear lines. Later, he entered the Max Mara group, where he managed the pattern making and tailoring departments for thirteen years and was responsible for some of the first womenswear lines of the brand. He then moved on to an experience as Pattern Maker Manager at Liu Jo and currently holds the same position at Twinset Milano. Throughout his career, he has collaborated as a pattern-making and fashion design teacher with the main fashion institutes in Italy. He took his first professional steps in some wool studios in the Biella area, a worldwide known district for its excellence in the material. In the 90s, he attended Istituto Marangoni in Milan where, in 1994, he graduated in Fashion Design. After his studies, he worked as a designer in Sergio Tacchini, dealing with the male sportswear collection. There, he had the chance to develop an understanding of how an entire collection is created. His next experience was in Versace where worked for four years, and then he moved to Gianfranco Ferré Style Office where, for seven years, he has dealt with raw materials, both men and women product development. Today, he deals with research and development for Made in Italy collections for Asian companies. 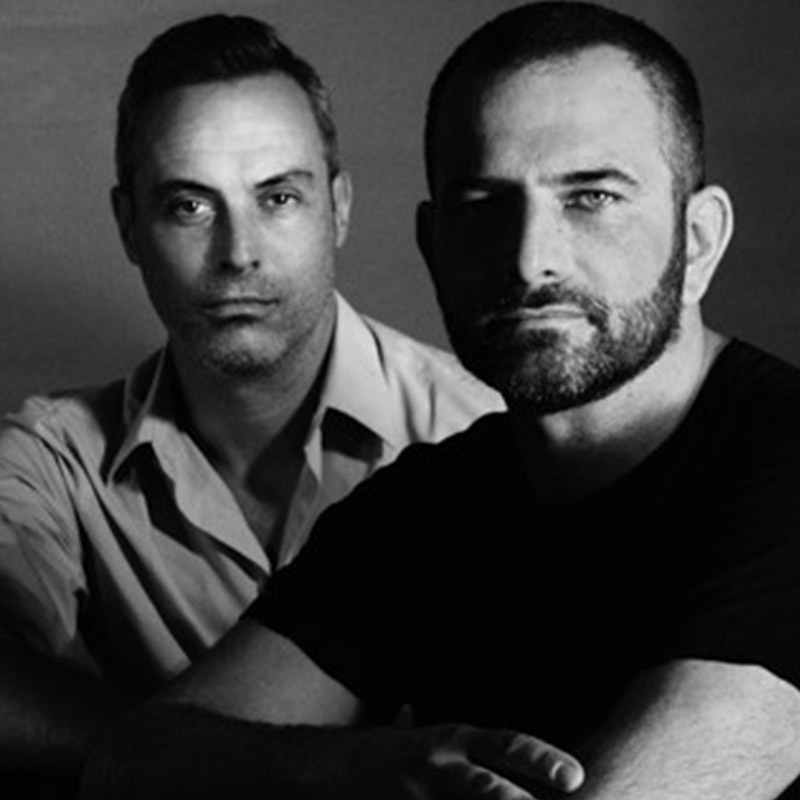 After their artistic studies and respective professional experiences in Valentino Couture and Krizia, they established their partnership in Mila Schön in the 90s, working for almost a decade as consultants, first and creative director, then, dealing with prêt-à-porter and haute couture collections’ design, retail management and advertising. Then, they took on the creative directions of many brands, such as Byblos, Blumarine and Anna Molinari and worked in the Style Office of Gianfranco Ferré, one of the best masters of Made in Italy. Their relationship with the stylist was significant both from a professional and human point of view. They were entrusted with the creative direction of man and woman GFFerrè line. After the premature death of Ferrè, they were appointed brand creative directors. Today, Piaggi and Citron still work as freelancers, collaborating with many companies such as Sobia Rykiel, Les Copains, Genny, Peserico, Cruciani and, more recently, Piazza Sempione. 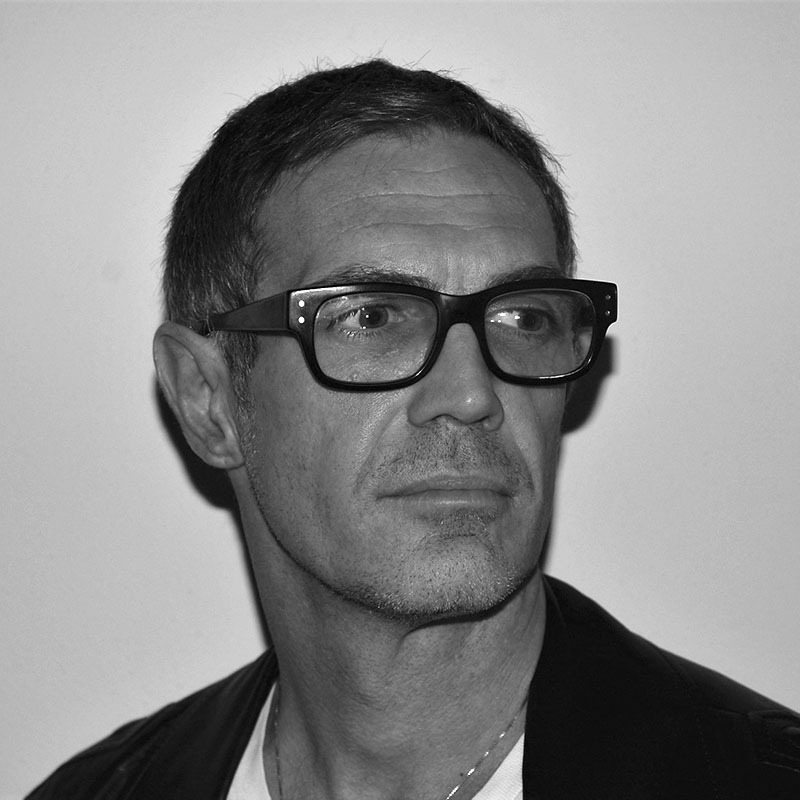 Born and raised in Genoa, Paolo began his career working for Calvin Klein and Versace. 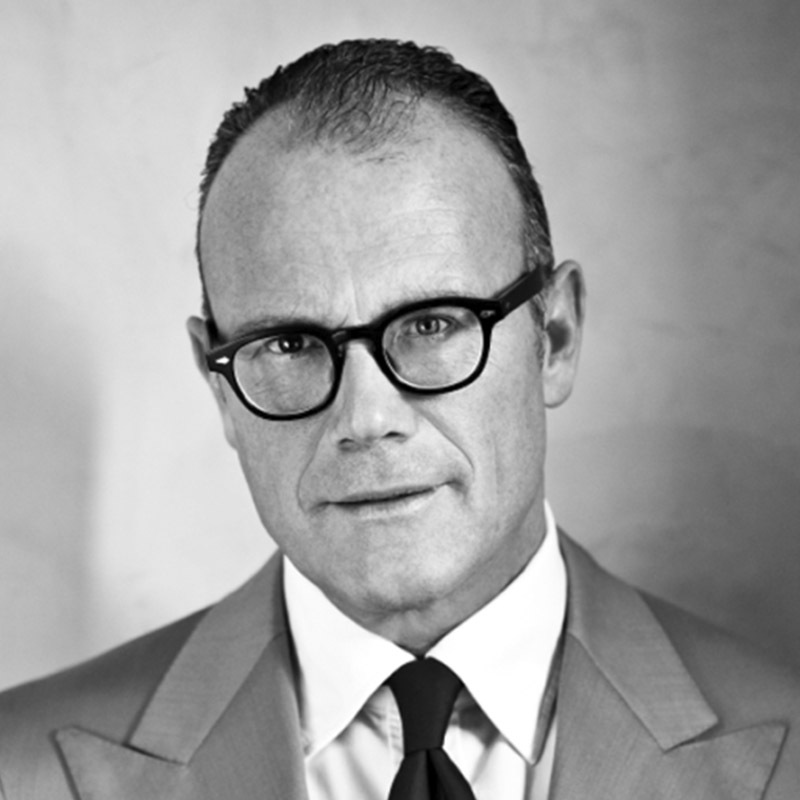 In 2000, he moved to Ermenegildo Zegna where he set up Agnona collections. Then, he worked in Roberto Cavalli Group where he designed female collections. In 2003, he graduated in Fashion Design at the University of Urbino. In the same year, he launched the fashion firm with his namesake and, in the following one, he showed his first collection in Milan. Architecture and design are the key sources of inspiration and reference in his work, with the aim to create timeless fashion. Hence, his collections are inspired by the study of primordial geometrical shapes combined with the human body. The result is a multifunctional fashion, with unusual dynamisms and innovative volumes, which design a new female expression and an innovative idea of sensual and plastic elegancy. Today, he lives between London and Paris, working as luxury brand consultant. 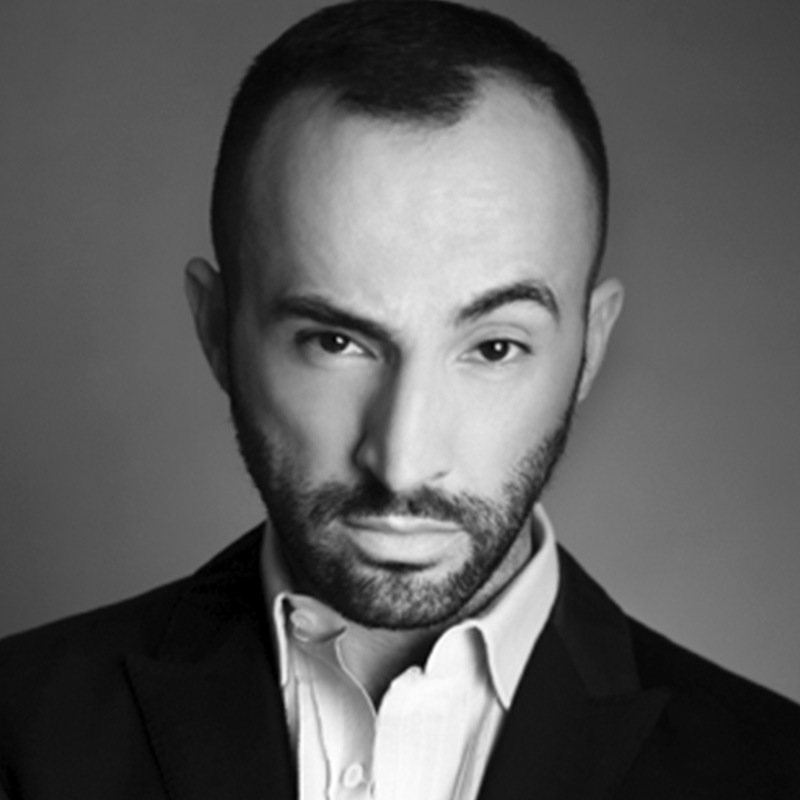 After the diploma in Shoe Design at Politecnico Calzaturiero del Brenta, he began his fashion career in 2003 working for Giorgio Armani and Giorgio Armani Privé. 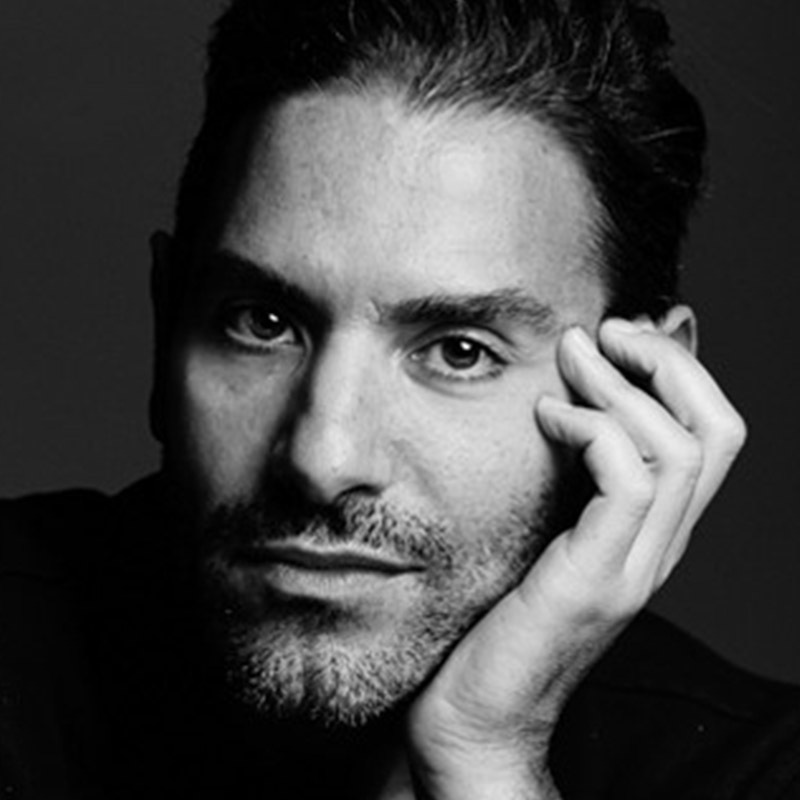 Then, for eight years, he has worked in Sergio Rossi, a globally relevant shoe brand, where he reinforced his skill set and worked for as Creative Director from 2013 to 2016. Then, he worked for prestigious brands such as Tom Ford and for Made in Italy excellences such as Santoni. Femininity, lightness, eclecticism, sublimation for Italian shoe design and passion for workmanship represent the basic elements for his esthetic research. He began his fashion career in 1982, after studying in Accademia di Belle Arti di Brera in Milan, working as freelance textile designer. He focused his interest on textile as a way of artistic expression. He became Art Director of Manera, which during that time, was one of the two biggest textile firms in the world and, hence, a good point of view on taste and style evolution. Under this title, he collaborated with Chanel, Dior and SYL. His textile drawings became part of the fashion history of the last thirty-year period. In his work, he has always had a wide and inclusive approach, collaborating with people external to the sector, like Frank Stella and the newspaper Interior Design. In 1995, he took up a professional partnership with Tom Ford for Gucci. Then, he collaborated with Emilio Pucci in Florence and Calvin Klein in New York. From 2006 to 2009, he was Textile and Accessories Designers for Brioni, Klein and Valentino. He is currently collaborating with Bulgari. An architect, Franco Achilli trained with Alfred Hohenegger, Giorgio Fioravanti and Gianni Sassi, then at the New York School of Visual Arts. 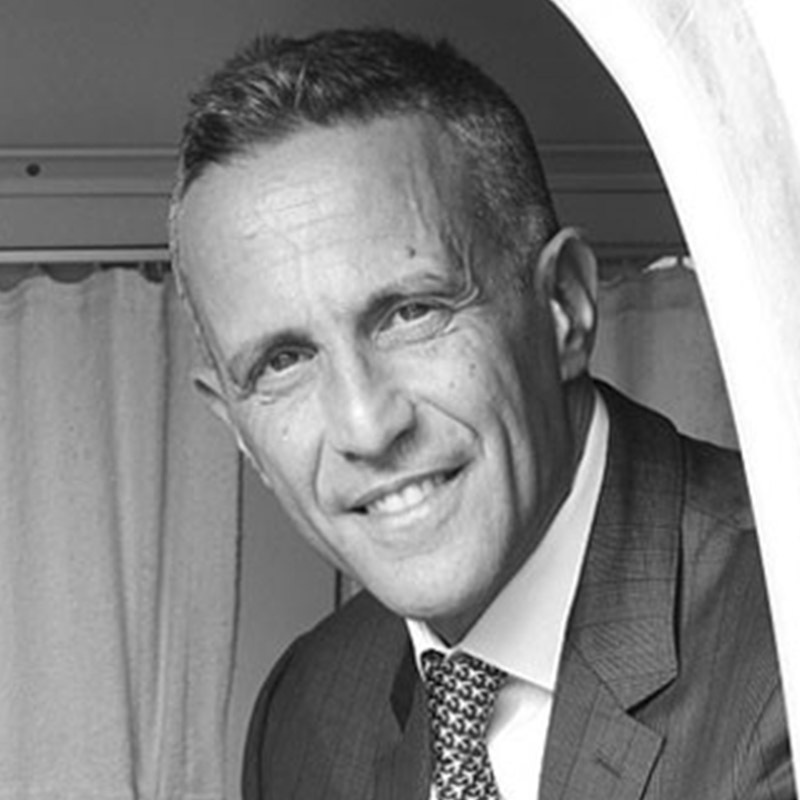 After acting as assistant to Emilio Fioravanti at G&R Associati, he opened his own first office in Milan in 1985 with Guglielmo Ghizzardi and Mario Piazza. 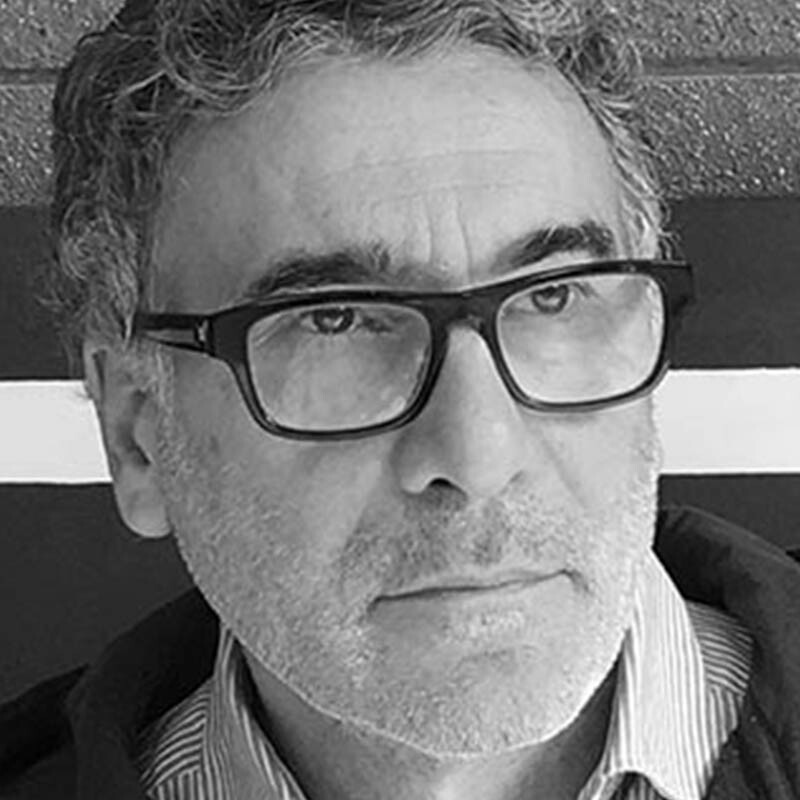 In 1995, he launched A+G Achilli Ghizzardi Associati, which he still runs today, working in architecture, brand and exhibition design, and publishing graphics. 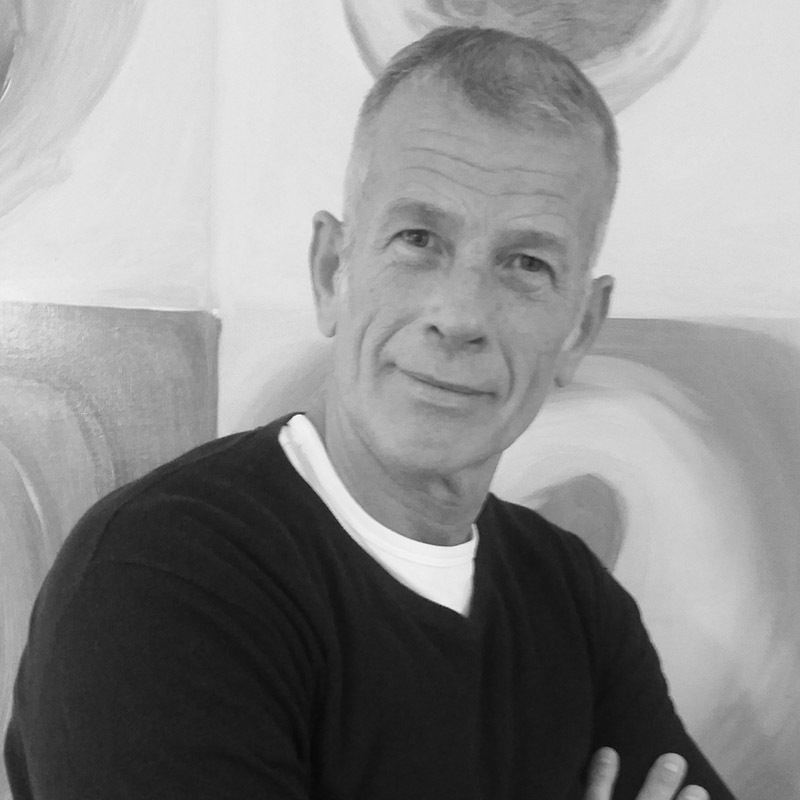 His clients in a career spanning over thirty years have included industrial and commercial groups, publishers and international organisations. 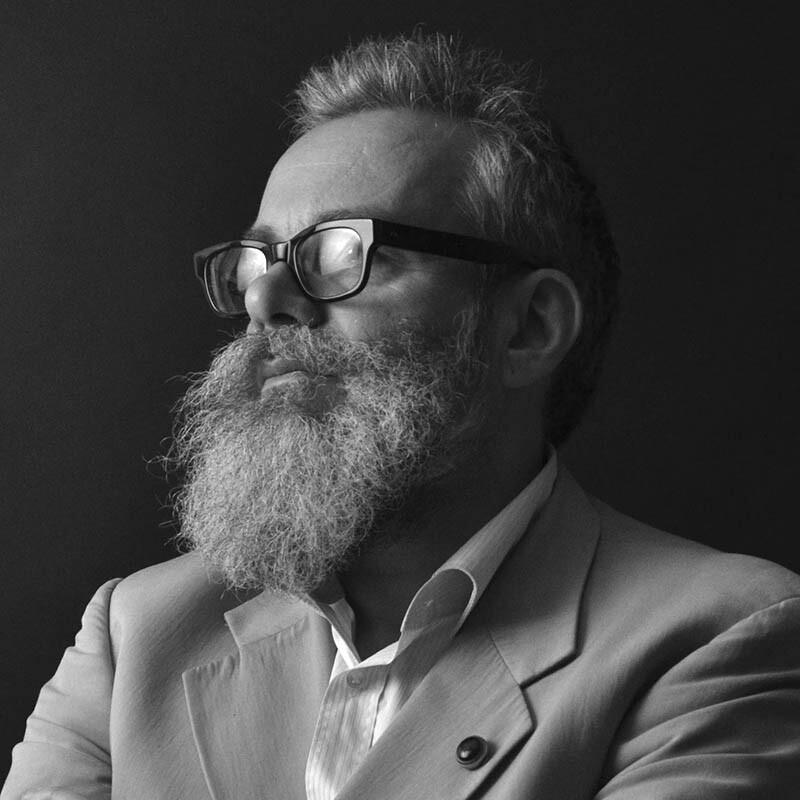 He has continuous experience in lecturing in design schools and teaches Visual Identity in Brands at the IULM University in Milan. He has been a Visiting Professor at the Northern Illinois University and had held courses at the University of Palermo, the Art Institute of Chicago, Milan Polytechnic, the IUAV in Venice and other universities. The acknowledgements he has received for his teaching work include ten awards from the Designer & Art Directors Club of London. 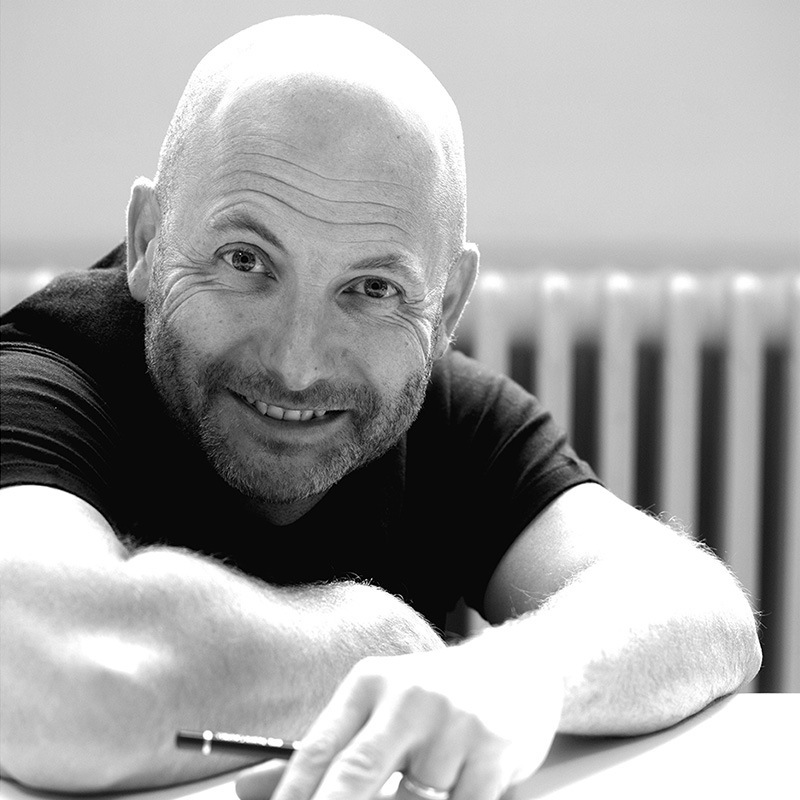 He has written and edited publications about design and his work has featured in leading international magazines. After studying at the High School of Art in Venice, her hometown, she began her educational course in fashion at Istituto Marangoni in Milan. After an experience in Dolce and Gabbana, she has been working for eight years in Prada where she gained international fame as designer. Her next step was in Dior under the art direction of John Galliano. In 2007, she was appointed creative director at Roberta di Camerino, a historical Venetian brand known all over the world for its velvet and colorful bags. In 2009, she set up her consultancy studio and started many collaborations with several brands, among which there is Loewe, under JW Anderson direction, Roger Vivier with Bruno Frisoni, Sergio Rossi, Moncler and many others. In 2013, she took up the direction of Zagliani, a prestigious maison from Milan whose creations are handcraft made. 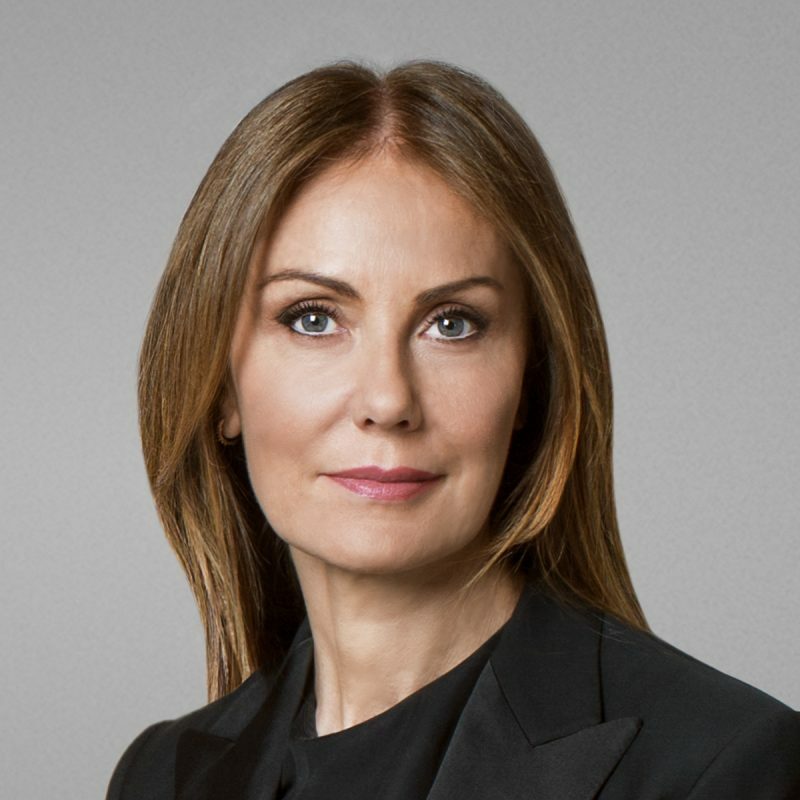 Since 2015, she has been dealing with the leather sector of Bulgari, Italian luxury icon. Applications can be sent by the “Admission Form” below or made by phone by calling the Secretariat directly. When we receive the required documentation and a motivational letter written by the Candidate, the Management will set the date for an introductory interview with the Course Leader or with the College Director: it is an open discussion during which the Candidate can explain his or her personal motivations. He or she can ask information on the general guidelines of the Institute (commitment, dedication, behavior, general Rules & Regulations of the didactic activities).If their profile is considered suitable, candidates will receive official notice regarding the acceptance of their application, which in any case is non-binding for the Candidate. Following the Management’s official notice concerning the Candidate’s admissibility, the latter may proceed to the enrolment stage. All students who fulfil the requirements must pay the enrolment fee when they formalize their enrolment, which must then be integrated by the yearly tuition fee (established by the four family income brackets before the beginning of the course). The amount of the tuition fee can be paid in one single instalment or in two further instalments after the enrolment fee: the 2nd instalment must be paid before the beginning of the First Semester, and the 3rd instalment before the beginning of the Second Semester. Another option is to pay in 10-monthly instalments, which 1st one corresponds to the enrolment fee (enrolment fee + First instalment of the annual tuition fee) and the last no later than the 9th month from enrolment.